Free Shipping Included! 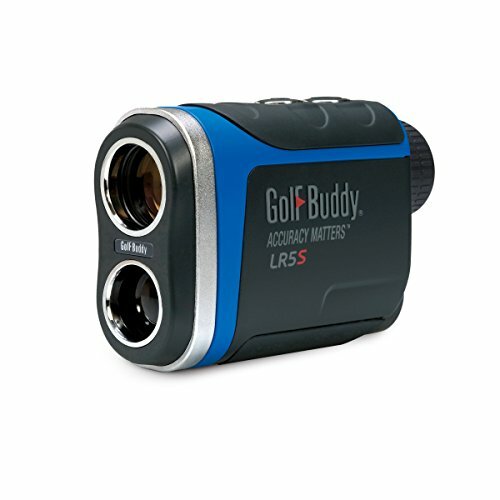 GolfBuddy LR5S Golf Laser Rangefinder with Slope, Dark Gray/Blue by GolfBuddy at Village Green Golf. MPN: GB10-LR5S. Hurry! Limited time offer. Offer valid only while supplies last. The GolfBuddy LR5S is a compact and easy-to-use laser rangefinder that provides slope-adjusted distances for various elevations for more accuracy. The GolfBuddy LR5S is a compact and easy-to-use laser rangefinder that provides slope-adjusted distances for various elevations for more accuracy. The GolfBuddy LR5S is the must-have item on the course that completes your needs with its design and performance. GolfBuddy is a leading innovator in the golf rangefinder industry with a primary goal to provide the most accurate and innovative golf rangefinders in the market. Our tagline reads, "Accuracy Matters' and it is a mantra that we, at GolfBuddy, hold near and dear to us as it is reﬂected in our product line.